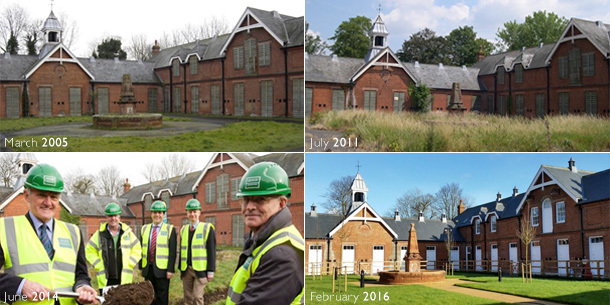 Works at our new National Horseracing Museum in Newmarket are progressing well and have certainly come along way from the original abandoned site we inherited in 2005. The part Lottery Funded scheme incorporates a number of listed buildings and new build extensions, the first phase of which – the restored Palace House has already been handed over to fit out contractors for the display works to commence. The stables refurbishment as shown in the photographs is nearing completion; these will soon become the publicly accessible home of retired racehorses from the Newmarket area. The main museum is also well advanced for the next phase of fit out to commence.